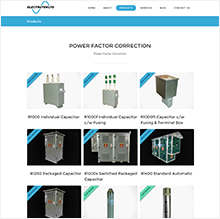 Elektroktek website need some organization in how users got access to their products and information. We saw this UX experience as key a created many ways for their personas to get access to products quickly. 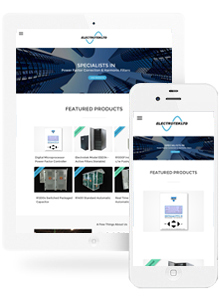 With drastically improved online presence the new responsive website allows uses to quickly access products. Also the website has some really cool HTML5 features that add a special touch to every users experience. 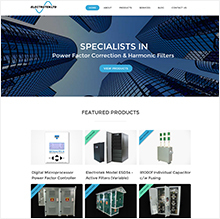 Red Cherry also created a content management system (CMS) to allow Elektrotek to make there own updates quickly and easily. 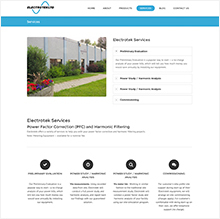 Wordpress CMS allows for Elektrotek to make updates to page easily. Responsive design means more leads and a higher conversion rate. Significant increase in sales opportunities here we come. 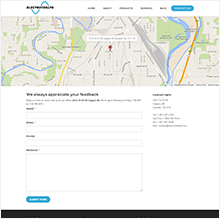 Very simple and clear calls to action deliver top-level marketing messages for each service.